I’ve been blogging weekly for more than three years, and the benefits are worthy of consideration for any writer. First, my writing has improved tremendously. Every writer hopes for that. Secondly, writing has become so much easier. Hallelujah! In the early days, I would spend several days working on a 600-word post. Now I spend a couple of hours, and that includes production. But the benefits of blogging don’t stop there. If you use analytics to understand what your readers are reading, you learn what resonates with your audience. If you write more of what they like, you begin to develop a theme. If you continue to write on a theme, you become known as an expert…. And guess what? After a year or so of blogging on a particular topic, you’ve got enough material to consider turning it into a book. That’s exactly what I did when I came up with the self-empowerment series, “The Power of Living Joyfully.” I culled through a couple of years of blog posts, noted the coaching themes of interest to readers, and developed a series of topics that fit within the living joyfully concept. The first book in the series, “Setting and Achieving Goals that Enrich Your Life” was published last November. The second in the series is in development and scheduled for publication later this year. Granted, I also get material from being a success and self-empowerment coach. Still, doing the work (coaching) is one thing. Blogging about the topics I deal with is something very different. The latter allows for repurposing the material in many ways. Books are just one idea. There are also teleclasses, podcasts, and videos. Find your schedule. When I began blogging, I’d write over the weekend and post on Monday. But weekends can be hectic and, as a result, there were times I would be writing my post the morning it was due. Even though I set the deadlines, I like posting on a regular schedule, which means I hate waiting until the last minute to write. What works best for me is to post on Thursday. This gives me plenty of time earlier in the week to draft the post, tuck it away, and then come back to it fresh. With the necessary edits, I just drop it into WordPress, schedule it for publication, and I’m done. Write yourself a few notes when inspiration strikes. I have a document on my computer where I capture writing ideas. I never close it. Sometimes I write a one-liner of the idea, other times I write the opening paragraph, and sometimes when I’m super inspired I’ll draft the entire post in one brief sitting. What’s important is to write down your thoughts when the creativity strikes. I can’t tell you how many “great ideas” I’ve lost because I neglected to write them down while they were fresh in my head. Create a content calendar. This is a good idea for lots of reasons. If you are new to blogging and not really sure about topics to write about, you can check to see what holidays are coming up and use that as an idea generator. If you’ve been blogging a while and have ideas coming out the… well, you know… then having a content calendar helps you organize your ideas in a way that makes delivery more logical. I typically plan my content quarterly. Do I always write what I think I’m going to write? Heck, no. But then, who does? Keep your posts short and easy-to-read. The most-read blog posts are not long. My content averages between 700 – 1000 words, with the rare post going longer. Keep it simple by keeping it real. What’s going on in your day-to-day life? In the life of your family and friends? Your community? Generate ideas from random conversations with strangers. I love this blog post by John Corcoran, “How to Make Small Talk with Strangers: My 21 Day Happiness Experiment.” Just imagine, in 21 days you could have more than 21 different ideas to write about. Brilliant! What recent newsworthy stories motivate you? 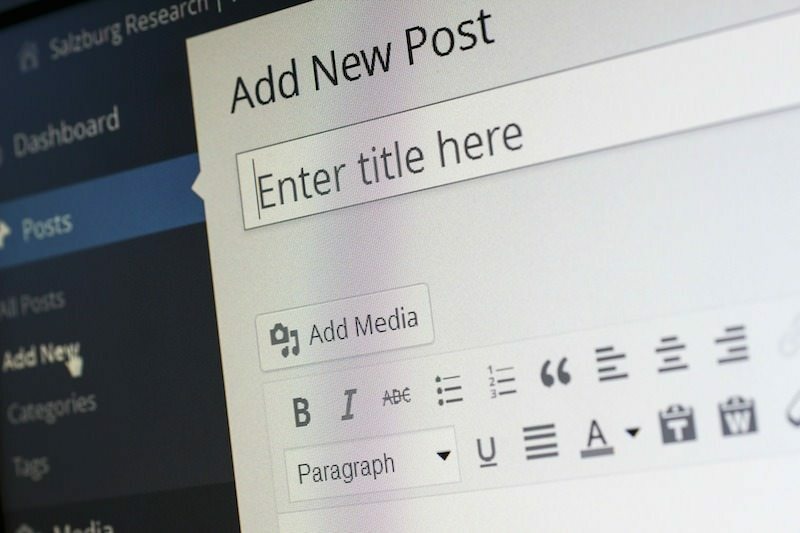 When you write posts about anything trending, that can increase your traffic. I recommend you only do this when you have a real interest in the topic at hand. Readers are smart. They see through smoke screens. Offer to guest post — nothing like a deadline to motivate you. 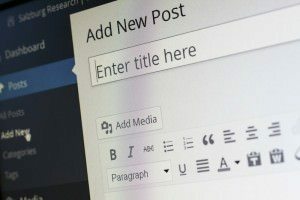 When you are writing for someone else, you need to review the content on your host’s site to ensure your piece fits in. Perusing other blogs always gives me lots of writing ideas. When I feel stuck, I look for a writing prompt in a nearby book. For example, I’ve just picked up Madeleine L’Engle’s A Wrinkle In Time. I randomly opened the book to page 134 and put my finger on the paragraph that reads, “Charles Wallace giggled again. “Yes. Every once in a while there’s a little trouble with cooperation, but it’s easily taken care of…” From this short passage, I could write about something that made me giggle. Or I could write about wanting to have more cooperation with something. I could even flip it and write about having the cooperation I need, or maybe I’ve more cooperation than I need. Book dipping can be a fun and creative way to juice up your inspiration. Who knows what you might write as a result! I would have never guessed four years ago that I would be blogging every week and loving it, but here I am. For me, the benefits of regular blogging are more than I had hoped for. Not only has blogging sharpened my writing skills and given me a quick and easy creative outlet, it has also provided the foundation and inspiration for future books. Are you a frequent blogger? If so, how have you benefitted? What tips can you share to make if easy and fun?